The project’s General Objective is to develop and demonstrate a European-wide assessment and learning, guiding technology which will help users to adapt their skill assets to the demands of labour market focusing on the support of Non-Cognitive Skills (NC). The proposed solution will integrate and improve the development of NC skills by providing functionality to enable the assessment and evaluation of such skills and recommending users’ actions for bridging the gap between their skills profile and the one recommended for their target occupations. Moreover, the solution will provide options for measuring NC skills development linked to open badges to provide recognition of the new learning and skills. We assume the UNESCO definition of NC skills as the “patterns of thought, feelings and behaviours” (Borghans et al., 2008) that are socially determined and can be developed throughout the lifetime to produce value: they can comprise personality traits, attitudes and motivations. 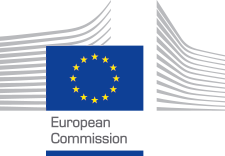 To develop a canonical NC skills framework for online training services by identifying non-cognitive skills relevant for employability and mapping them to the existing EU and global skills frameworks. To provide tools and motivational to improve youth employability and help citizens at risk of exclusion. To develop the system prototype that supports users to decide their individualized, tailored learning roadmaps for developing the NC skills recommended for specific target occupations.